I just found some really fun spice bottles online from a natural herbal store. 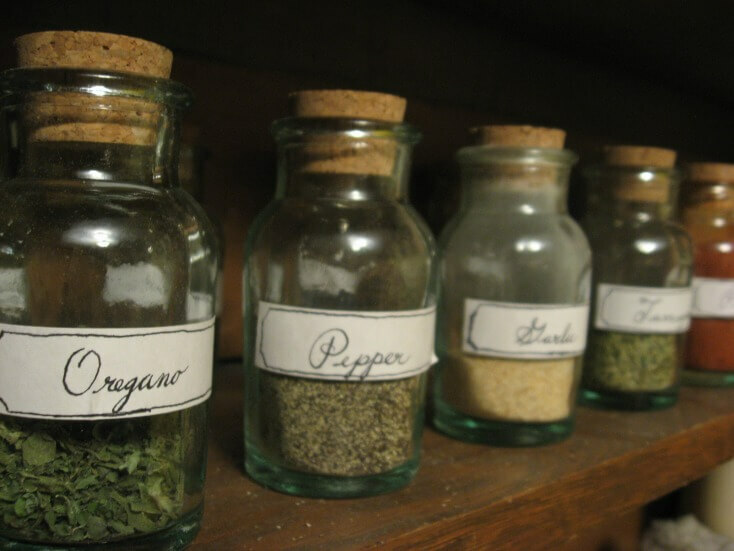 They have all sorts of organic herbs and spices along with different kinds of teas and essential oils and even supplies if you want to make your own herbal products. The item they sell that I love the most, though, is their glass cork-topped spice bottles. The website calls these bottles “historically correct spice jars as they were once used over 100 years ago.” Well, as a lover of history, of course that phrase immediately peaked my interest! 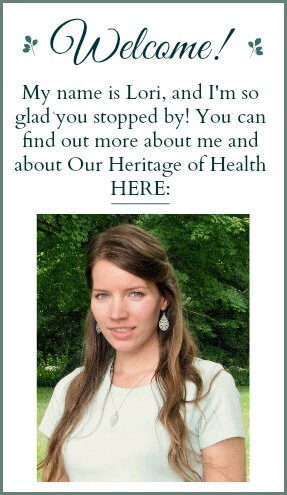 In my last post, I talked about all of the great benefits that come from going outside and taking a walk in the fresh air. Taking an outdoor walk every day is a great thing to do, but… it’s usually only a half hour or maybe an hour of the day, and the rest of the time you’re breathing stale, indoor air. 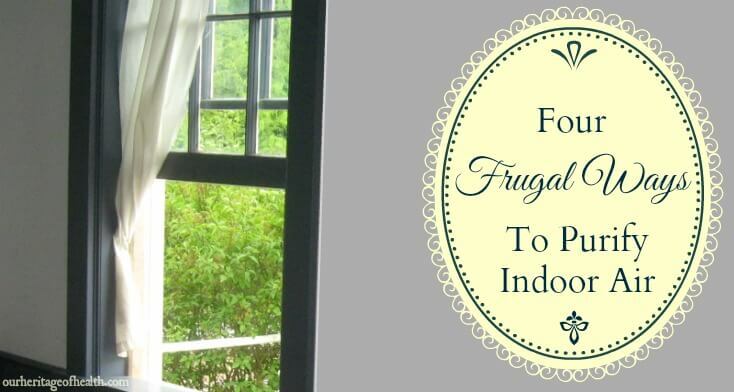 So, the question is, how do you improve the quality of the air inside your home (without paying for any sort of expensive filters or air purifying systems)? The good news is that there are a couple of cheap or even free old-fashioned ways to purify indoor air and improve the quality of the air you breathe. 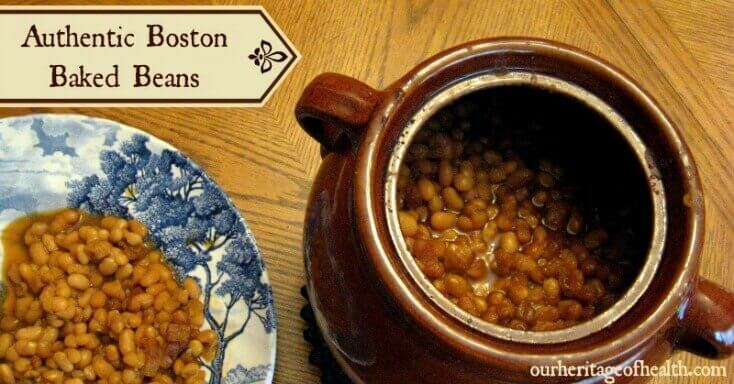 Boston baked beans are a delicious old-fashioned New England tradition, but most store-bought baked beans today are full of all sorts of questionable ingredients. Instead of store bought beans, I wanted to find a truly authentic recipe that used only real, natural ingredients that I could make myself at home. 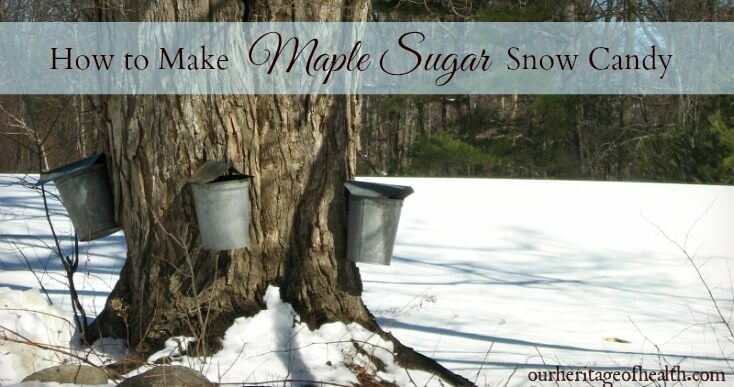 We finally had a half-decent snowstorm here in MA, so I decided it was time for something I’ve been waiting for months to try – making maple sugar snow candy! I know it’s technically not quite maple sugaring season yet, but I just couldn’t wait any longer. I had tried making maple sugar snow candy once before, but my maple sugar wasn’t the right temperature so it didn’t turn out well. This time, though, I did some research to find out the correct way to boil the syrup, and I found some great information from a site called Quaker Hill Farm.